Shark Week likes to make a big splash for their opening night. Sunday night was celebrity studded for sure. Starting off with Bear vs. Shark, Moving on to Shaq Does Shark Week, and Ronda Rousey Uncaged. British Adventurer Edward Michael Grylls, also known as Bear Grylls, formerly from Man Vs. Wild got his own Shark Week episode this year. While Mr. Grylls is fun to look at, He is living proof of reverse Darwinism. He started off his episode by chumming the water from a helicopter then jumping into the shark feeding frenzy he created. During this opening scene he didn't bother to tell you what kind of sharks you were looking at, (Grey reef sharks) he merely took credit for driving them into a frenzy. Mr. Grylls spent the next hour doing EVERYTHING you should never do where there are sharks. I understand adventure and excitement make for compelling television entertainment, though Jedis could do without both, I watched this man use the excuse of testing shark repellents to basically behave like a child saying"Look ma, no hands." By the end of the show he had helped one tiger shark so it wasn't all a waste. At the end of all of this deliberate stupidity he tells the viewers to "be safe." Shaquille O'Neal is a retired basketball player, as if you didn't know. At 7'1" he is a very large person, and that was a running gag through the whole thing. Along with his most used line of "I'm not doing that." He is joined by actor Rob Riggle and has Kevin Hart on his phone a couple times. Eventually the real shark scientists Austin Gallagher and Tristan Guttridge appear to make this episode slightly legit. There was a little bit of shark trivia but it was mainly heckling a very tall man in a custom wet suit, custom flippers, and custom cage, to get him to do something he didn't want to do. In the final 10 minutes of the show Shaq finally got in the cage alone, Rob Riggle up top adding moronic antics, but all ended up with Shaq loving the sharks. And they lived happily ever after. Ronda Rousey is a champion fighter. This episode was heavily portrayed like it was going to be a fight between her and a mako shark. Discovery Channel did something very similar and ultimately disappointing last year with Michael Phelps and a computer generated great white shark. Ronda was joined by her husband Travis Brown, Joe Romeiro a shark expert, Andy Brandy Casagrande IV a photographer, Riley Elliott a shark expert, and Paul De Gelder a shark attack survivor. They are training her to dive with sharks. This episode is done very safely. You can see all the crew keeping her safe. She starts out in the chain mail diving suit. Though the irony of Paul De Gelder "hand feeding" Bull sharks after losing his right hand and foot to a bull shark, was not lost on me. She is put through different stages of dives with different sharks. You don't really learn much about the sharks, you pretty much just watch her swim with them. This year was not a computer generated shark though, she swam with a real mako. She did not fight it, but she did poke it with a stick. It was basically a celebrity shark dive. This is a talk show setting where you watch the people you just watched talk about the things you just watched them do..... It is a complete waste of time and I most likely will not mention it again this week unless they do something interesting. As opening nights go, it is important to bring out the big guns and have all your stars be seen to get people's attention. I am not a fan of the celebrity shark dive episodes at all. You learn almost nothing about the sharks and that is really the point of Shark Week. 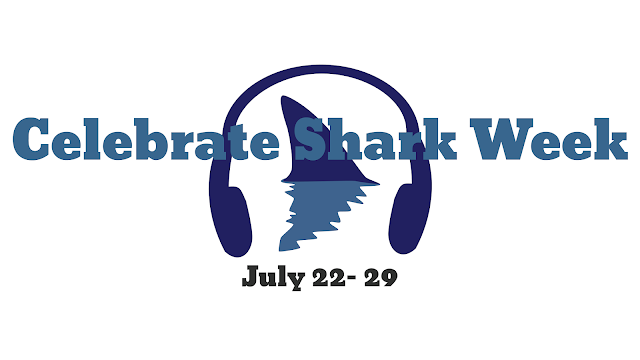 I understand that celebrity endorsements get noticed and any attention brought to Shark Week brings attention to shark conservation, I just wish the sharks could have more airtime than the celebrities. Day one is in the books and we have plenty more sharks to come!